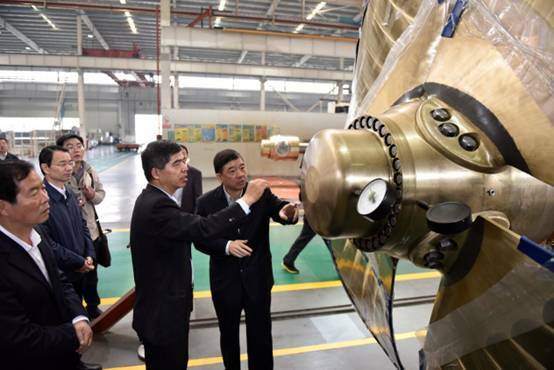 On October 29, Xu Ming, member of the Standing Committee of Jiangsu Provincial People��s Congress and Vice Governor, accompanied by Li Shigui, member of the Municipal Standing Committee and Secretary of the District Committee as well as district leaders Gao Dechen and Zhang Huiqi, visited Nanjing High Accurate Marine Equipment (��Nanjing High Accurate Marine Equipment��), a subsidiary company of NGC Marine Group together with directors of relevant government departments to carry out in-depth investigation and research on the development of marine equipment enterprises and the construction of marine economy demonstration projects. 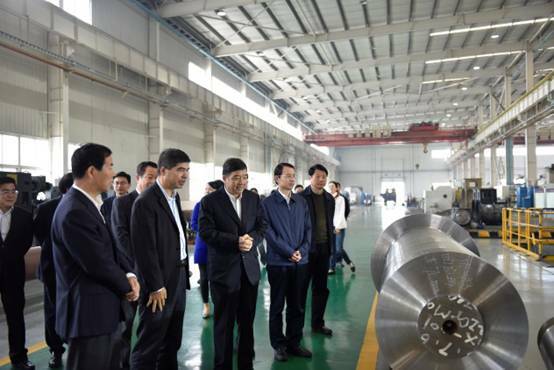 Chen Yongdao, General Manager of NGC Marine Group, reported to Xu Ming and his party the overall operation and development plans of Nanjing High Accurate Marine Equipment. He noted that in recent years, through continuous improvements in product quality, technological levels, and the quality of its service, Nanjing High Accurate Marine Equipment has been making stable efforts to create a globally leading brand of large-scale marine equipment supporting enterprise. As a national high-tech enterprise, the Company now has a series of marine products with intellectual property rights and currently has design and production capacity of an annual 700 sets of propellers, gearboxes and other marine products. Xu Ming noted that under the current conditions of a general downturn domestically and internationally in the shipbuilding industry, the fundamental reason behind Nanjing High Accurate Marine��s good momentum of development is the company's commitment to technological innovation and uncovering of brand value. 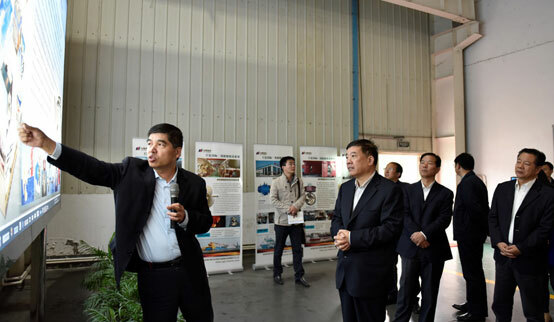 Accompanied by Chen Yongdao, Xu Ming and his delegation watched the drilling platform, controllable pitch propeller propulsion system, and steering system along with other models, and conducted a visit to the Company��s first phase production workshop to learn more about the Company��s production and prospects of their products.